I hope everyone is healthy and happy this holiday season. but I have done some more ACEOs recently. I've been reading about Elizabeth I, so I must have royalty on my mind. and, unlike Elizabeth, she thinks being a princess is very tiresome. So many duties, and not enough fun! It's not easy, you know. 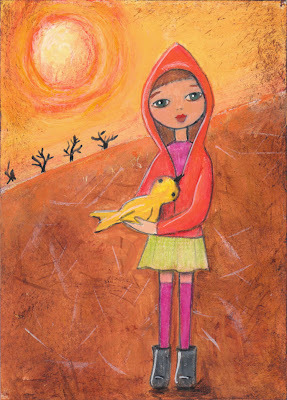 The second ACEO is a re-creation of another piece I did a while ago. I think I have too many new ideas fighting to be put on paper. My thought was to redo something to make it better than the original. But I like the first one more, oh well. or any and everything you celebrate to everyone! And an inspiring, healthy, and creative 2012! I love these wee pieces of art! I just started collecting ACEO's and love them! Love your colors and whimsy. Merry Christmas! These are wonderful! I love them both. Are they colored pencil? Your royal young lady is fabulous! So is your other ACEO! Have a great holiday! Merry Christmas! I read great things about a recent bio on Elizabeth--it's on my wish list! Maggie these are such treasures. Princess Elizabeth is just adorable - you always put such a soft touch in your portraits, little hints of magic. I love them! they are just a delight!!! Both are beauties Maggie! I love the warmth in your work and you have a fabulous delicate touch with blending colours. These are lovely ACEOs! 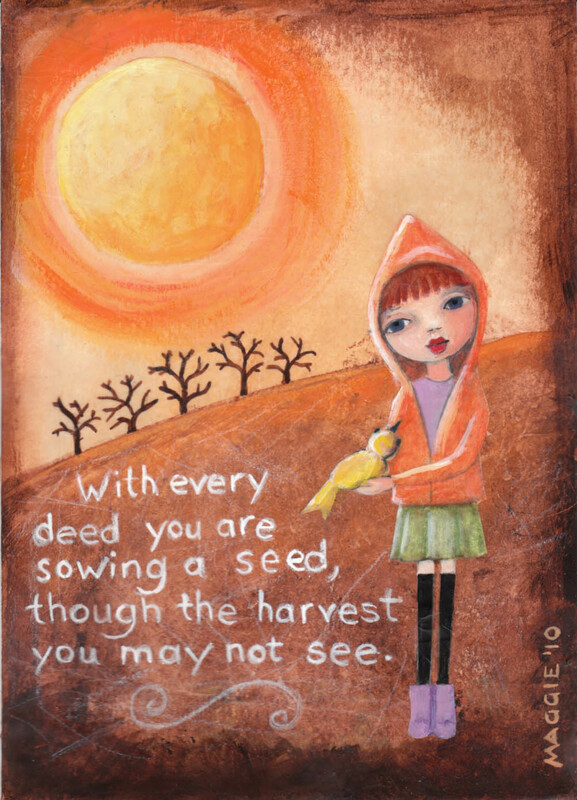 I especially like the Harvest. And best wishes to you!! I love your style too, very nice work! 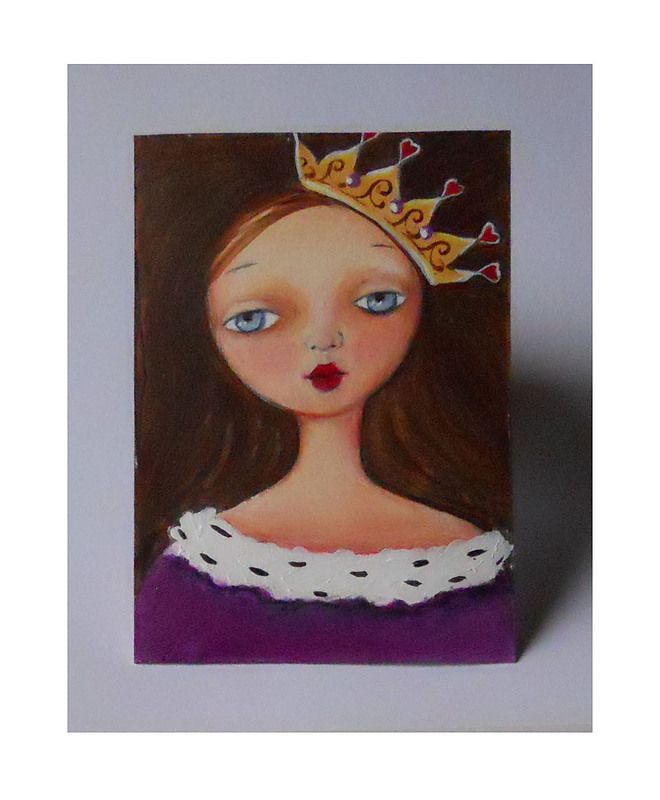 All of your ACEOs are charming! Wishing you a Happy PPF and wonderful 2012. I love the faces you create. Great shading and lighting.